Professor Michael Hamel-Green is a Emeritus Professor in the College of Arts & Education. 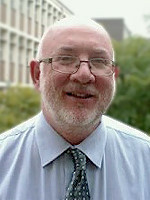 former Chair of the University Education and Research Board (ERB). Professor Hamel-Green's research field is peace studies. He has focused on regional disarmament and security issues, particularly in the Asia Pacific region. Multilateral Agreements for the new Oxford Encyclopedia of Peace. Editorial Committee member of Global Change, Peace and Security, an international relations and peace research journal published by Routledge (UK).